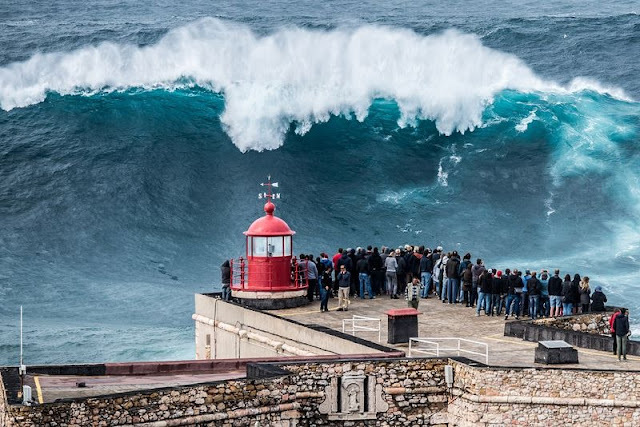 The pretty seaside town and resort of Nazaré on the west coast of Portugal remains crowded throughout the summer with tourists who flock to its long sandy beaches to relax, swim and surf. 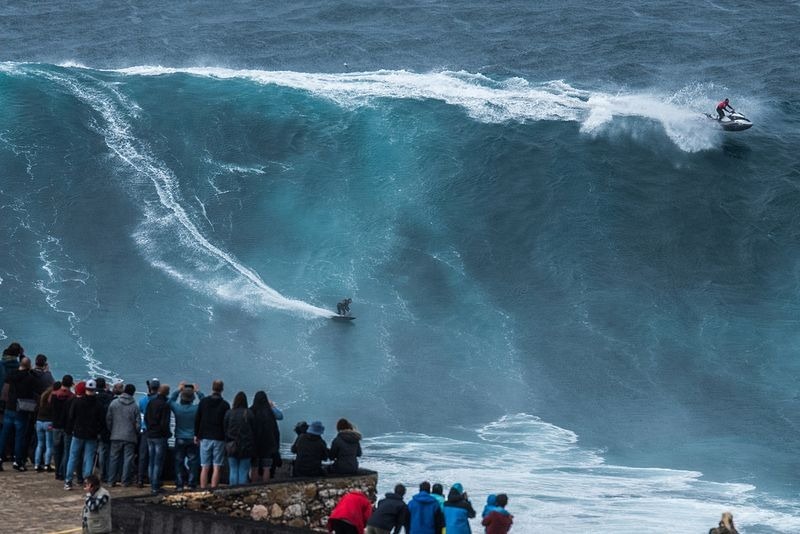 But when winter arrives, only the most serious thrill seekers stay. 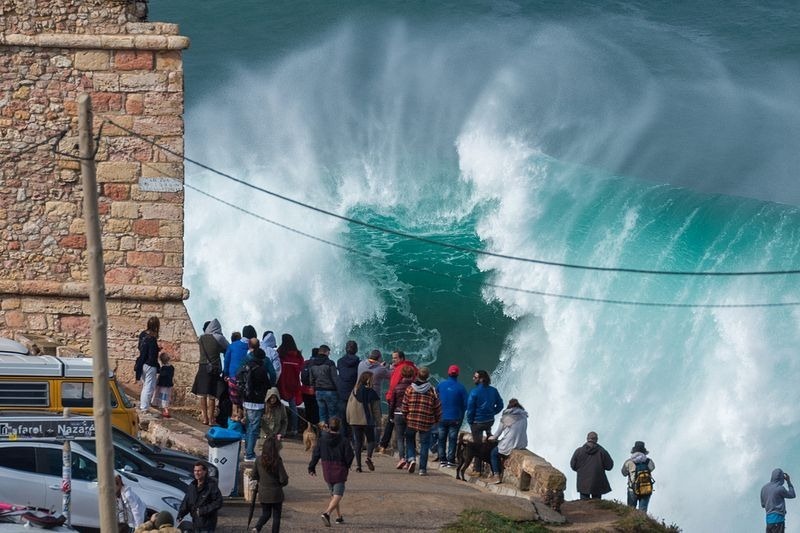 At this time, the beaches are dangerous. 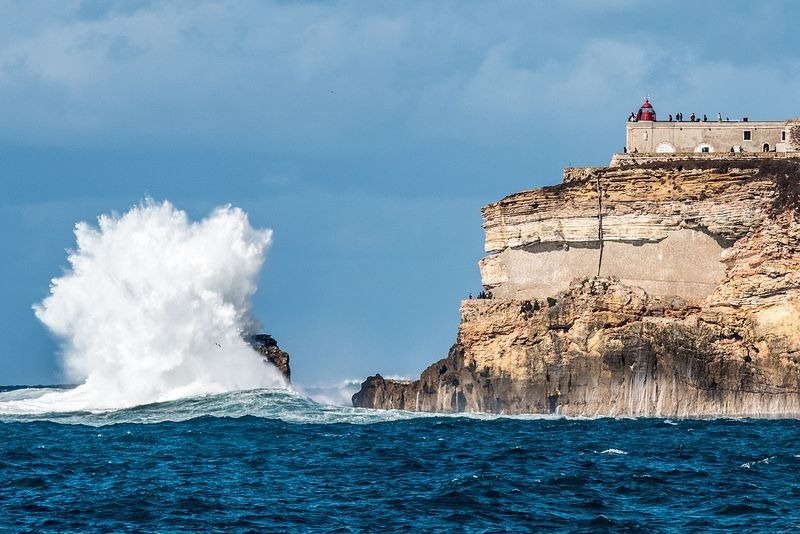 Massive waves up to 100 feet high regularly break along the rocky coastline. 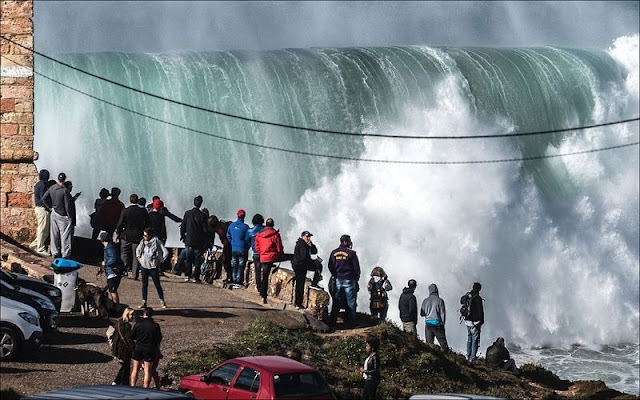 Nazare’s monster waves attract big wave surfers from all around, but until very recently, the town and its surfing potential was relatively unknown outside Europe. 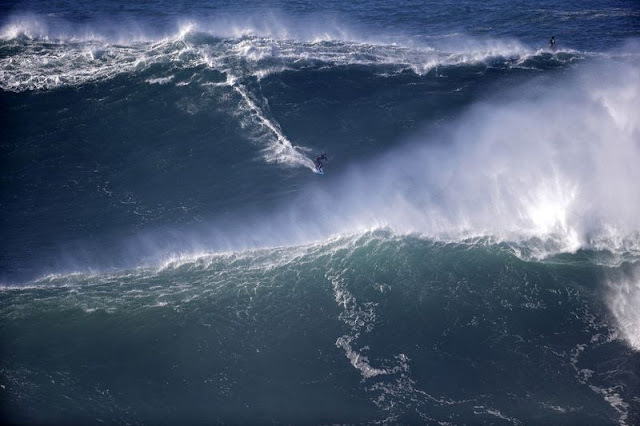 Nazare hit headlines only in November 2011 when Hawaiian surfer Garrett McNamara surfed a record breaking giant wave measuring 78 feet from trough to crest. In January 2013, McNamara returned to Nazare and broke his own record by successfully riding a wave that was estimated to be 100 feet tall. 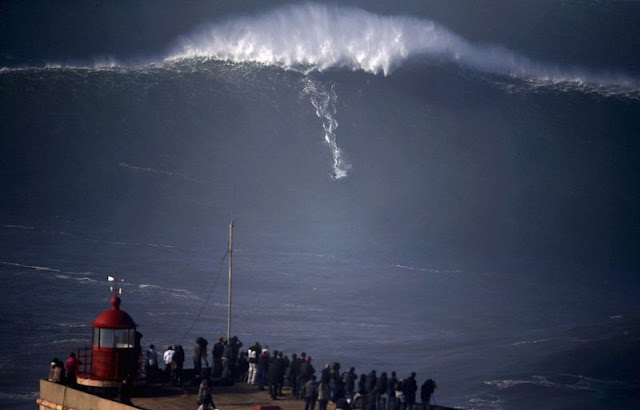 Later in October the same year, Brazilian big-wave hero Carlos Burle rode a wave that appeared to be even bigger. 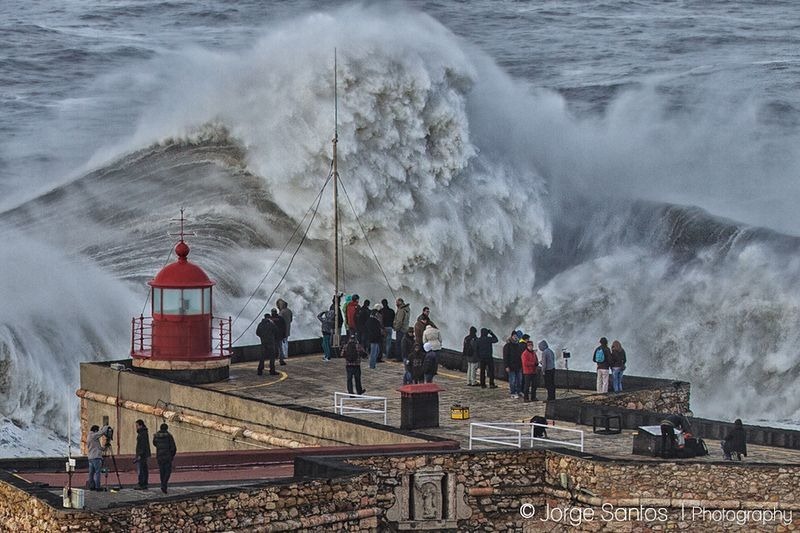 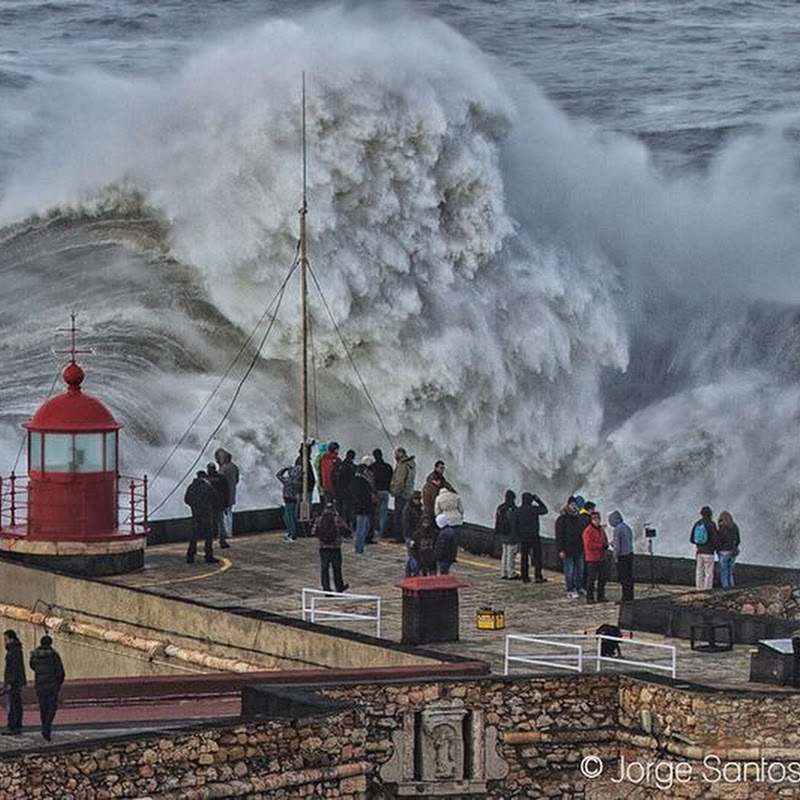 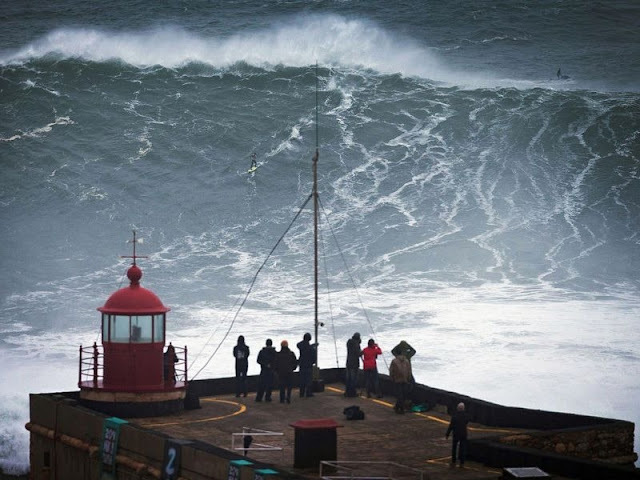 Nazaré on the Atlantic coast has now become a legendary spot in the world of big wave surfing.